What Fruits Can I Feed My Dog? When most people think of food for dogs, images of kibble and meaty canned food might be the first things that come to mind. However, fruits and vegetables that humans eat to maintain wellness also help dogs to stay healthy. Just as fruits and vegetables are considered healthy foods for humans, they can also help prolong a dog's life. Orange, red and yellow fruits and vegetables are best for dogs because they are often nutrient-dense. Many fruits and vegetables also contain antioxidants that reduce the risk of cancer. But not all fruits and vegetables are healthy for your dog. Avoid serving your dog dyed, waxed, or genetically engineered foods; just as with humans, organic foods are best. When dogs consume cantaloupe, they're taking in vitamins to promote good eyesight and eating a food with major antioxidant powers. Cantaloupes are an excellent source of vitamin A because they contain lots of beta carotene. In humans, cantaloupe consumption has been linked to a reduced rate of cataract growth. 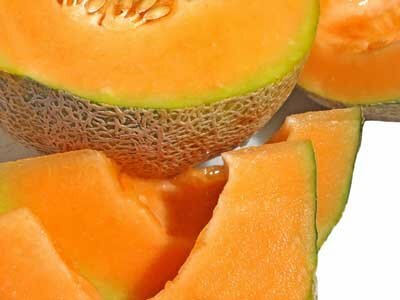 Similarly, the vitamin A content of cantaloupe helps to promote good vision in dogs. The beta carotene found in cantaloupes also reduces the risk of cancer and prevents oxygen damage to cells. In addition, cantaloupe contains vitamins B-6 and C, as well as fiber, folate, niacin and potassium. 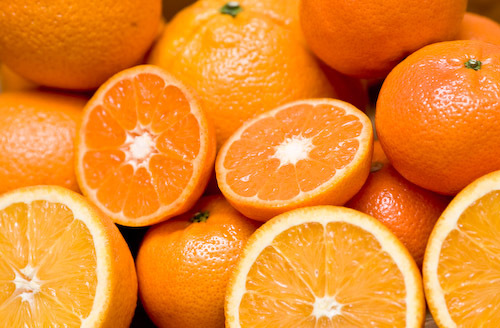 Vitamin C acts as an antioxidant that can help to prevent cancer. 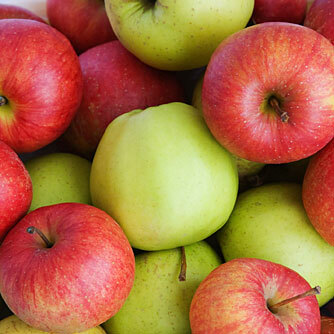 Apples contain a multitude of important vitamins and nutrients. In particular, Red Delicious, Northern Spy and Ida Red apples contain powerful antioxidants. 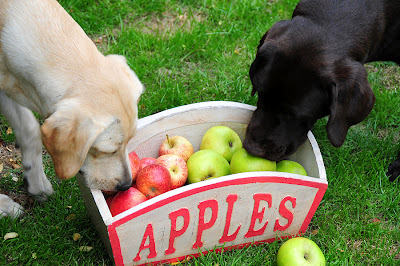 As with most vegetables, organic apples are best for dogs; they contain one-third more antioxidants than regular apples. Apples are an excellent source of vitamin C for dogs; in fact, one apple contains about 1,500 mg of vitamin C. The skin of an apple contains high levels of vitamin A and pectin, a fiber that can improve digestion by strengthening intestinal muscles. Pectin also works to get rid of toxins in the intestinal tract and creates short-chain fatty acids that keep away dangerous bacteria. Pears can be particularly good for dogs who suffer from constipation or irregularity. 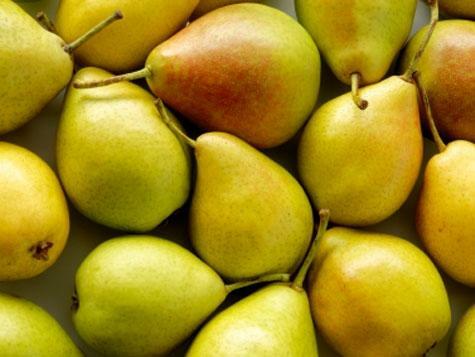 The fiber found in pears promotes colon health by binding with bile salts and carrying them out of the colon. Bile salts partially consist of cholesterol, so taking in fiber through pears will not only improve colon health but also reduce cholesterol levels. In addition to building the cardiovascular and digestive systems, pears have antioxidants benefits. They are rich in vitamin C, a nutrient that works against oxygen damage from free radical damage. In addition, vitamin C promotes immune system health because it triggers white blood cells to combat infection, kills harmful bacteria and viruses, and stimulates vitamin E if it has been deactivated by free radicals.